Just bout a ‘68 Cutlass. Can anyone help interpret the cowl tag? Thanks! Last edited by Brian Young; February 12th, 2019 at 05:06 AM. T-2 PAINT = lower body color and upper body top type/color = ivory lower body color (T) with a black vinyl top (2). I merged your two identical threads. It's neither necessary nor in your best interest to post the exact same question in multiple sub-forums. Keeping all responses in a single thread ensures that incorrect info will be caught and corrected as quickly as possible. anyone have a photo of willow gold interior? How's this? All you have to do is Google Willow gold Cutlass and BAM! If you're looking for new upholstery check out Legendary Auto Interiors. They have a full array of seat covers and door panels. 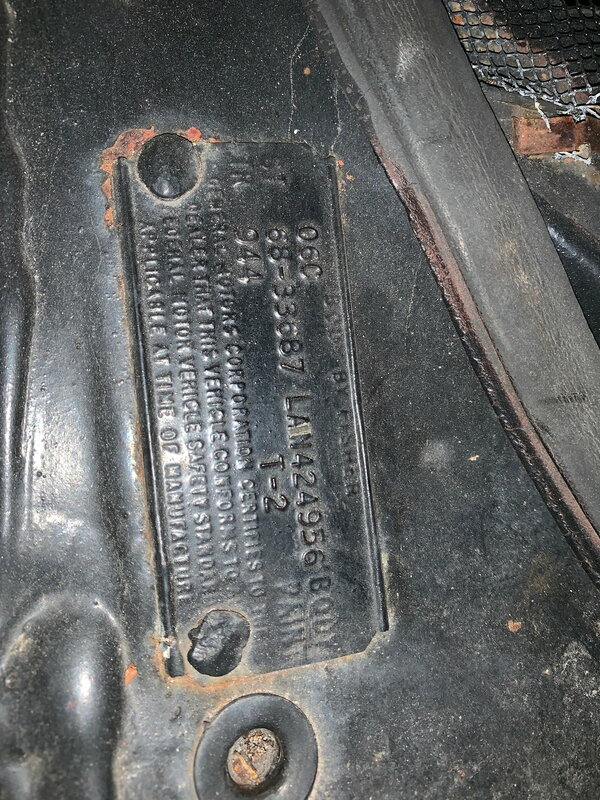 64 Cutlass Cowl Tag Decode?